Like many hiring managers, we were excited to hear that Google is making it easier for applicants to find companies looking to hire by releasing a jobs search engine in June. 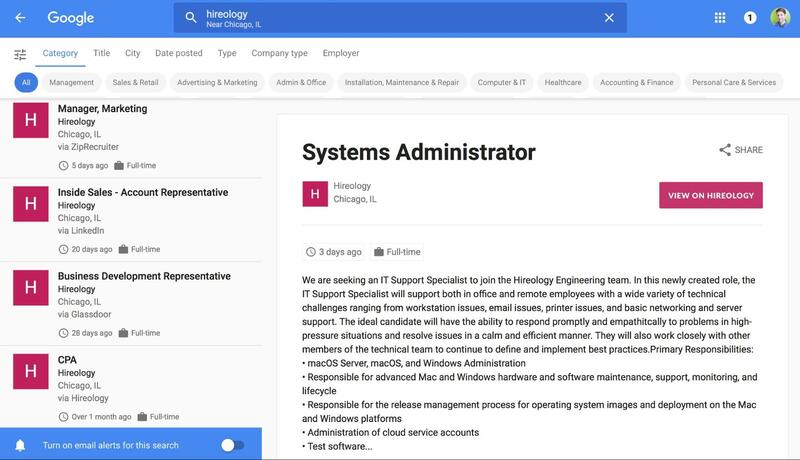 We’ve spent the summer working to make sure all jobs posted with Hireology are compatible with Google’s new jobs feed. Hireology positions will now get included in Google’s organic results automatically, and appear in search results when applicants search for relevant positions. Google Jobs will display the full job description, how to apply, and allow applicants to browse through other related positions. The experience looks great on desktop or mobile, and will help even more applicants discover new career opportunities at your company. 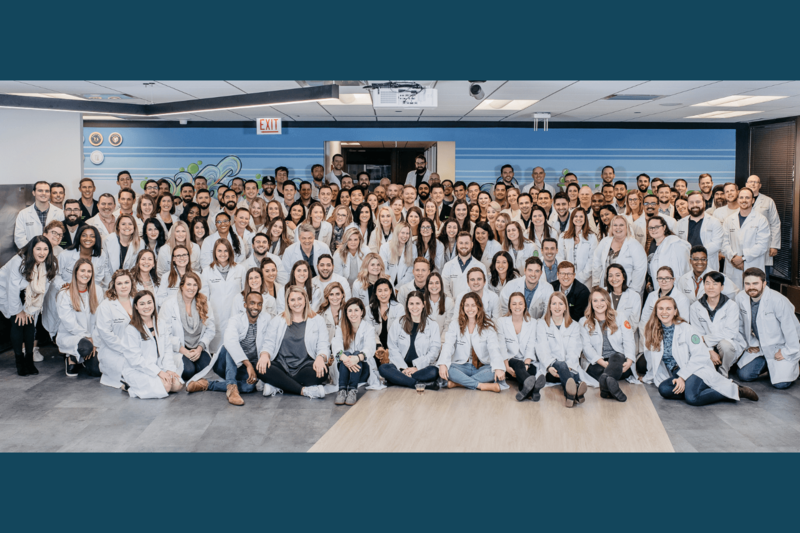 ZipRecruiter, one of the newest and fastest-growing job boards, is officially onboard as a Hireology partner, allowing access to sponsored and organic feeds through their network of 100+ job boards. Jobs opened with Hireology will automatically be included in ZipRecruiter organic feeds, while customers looking for an immediate boost of quality candidates can select a sponsored job boards package to meet their needs. Read more about ZipRecruiter in our blog post highlighting our new partnership. We’ve made it a lot easier to refresh jobs that have been posted for longer than 30 days and get them back to the top of organic feeds. After you review at least 5 applicants who have applied to the job in the past month, click the new refresh button to have the job refreshed at the top of the page. This should save lots time from manually closing, cloning, and re-opening a job you’d like to highlight again. Look for the new Refresh button in the job details page to see if you’re eligible to refresh your position. If you use ADP Workforce Now for your payroll platform, you can now import basic Hireology data to avoid having to re-enter personal data for each new hire with our new integration. 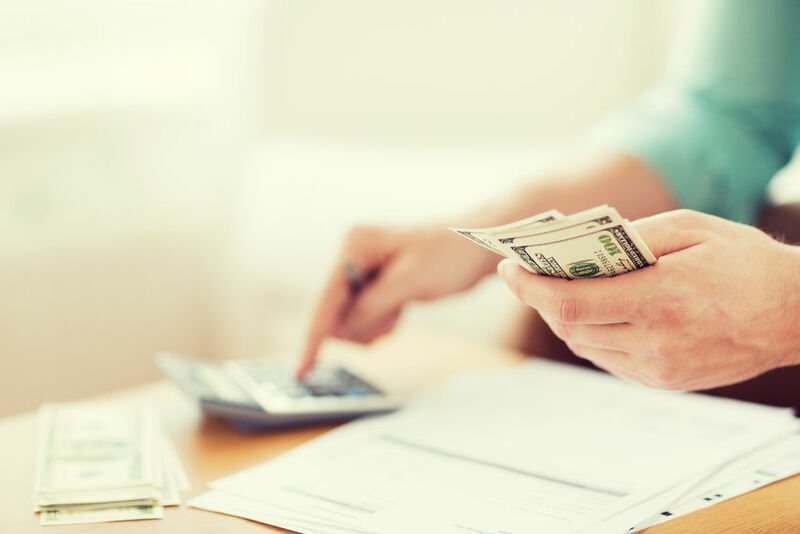 Contact your customer support representative to learn more about connecting your Hireology account with ADP Workforce Now. Based on customer feedback, we’ve added a new permission setting that lets hiring managers order background checks without sending them the email to view the final report. This is great for organizations where sensitive materials should only be viewed by specific team members. You can access this new option in the “Roles & Permissions“ preferences area of your Hireology account. Earlier this summer, we launched Insights: the simplest way to see how well your hiring process is run. Insights is unique because the first hiring platform capability of its kind to present performance data using an easy-to-read, Q&A format. Right now, you can see data on how quickly you’re making hires and if each hire followed all of the steps outlined in the hiring process. Next month, we’ll release our Sourcing insight, showing the places your best candidates (and hires) are coming from, compared to where you’re spending the most money. 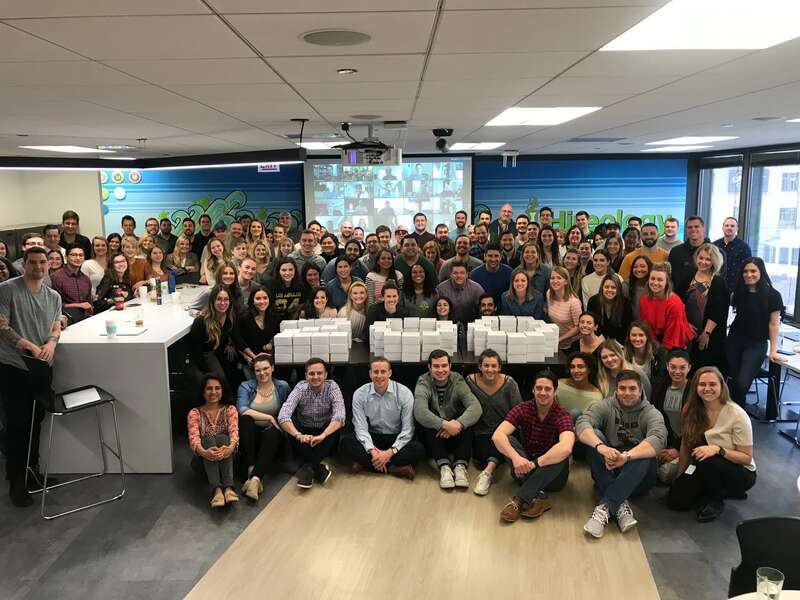 Many of our customers have added Onboarding to their accounts, so new hires get up to speed before their first day and contribute even faster. We’ve added new filters to the Onboarding section to make it even more intuitive as you focus on your new hires. Options like showing only new hires with incomplete Onboarding steps should help you focus on starting your team out on the right foot. Customers with Hireology Onboarding can see the new drop down filters today in the Onboarding tab. Our team is always hard at work on the latest updates to the Hireology platform. Sign up for our blog below to ensure you don’t miss any of the latest updates.